Why is MOD Pizza Called MOD Pizza? If you have never heard of MOD Pizza or walked into one, listen up and go now! MOD Pizza serves pizza any way you want it and for a flat price. You want a pizza with all 30+ toppings offered or a simple cheese pizza (well, there are many cheese choices so ‘simple’ is in the eye of the pieholder) – the price is the same! Back in 2008, Seattleites Scott and Ally Svenson began building a dream business that included pizza that was what you want, fresh on demand, for as little as possible and was a business that focused outward to its employees, customers, and the communities where they lived. They dreamed of paying employees as much as possible, giving them benefits unheard of in the industry, real opportunities for growth, and a true place for second chances. Then the dream became reality. MOD Pizza’s ethos is one of acceptance, development and opportunity, and this ethos has evolved into a corporate culture of individuality, teamwork, and service. Their commitment to food authenticity is very serious: if they won’t serve it to one of their four kids, then they won’t serve it to anyone. Being mindful of animal ethics and environmental impact, the Svenson’s develop food partner relationships with those who share their commitment to quality and keeping all the bad stuff out of their food. MODness is the idea of a certain type of happiness created when you treat others how you would like to be treated – and they do not kid around about MODness. 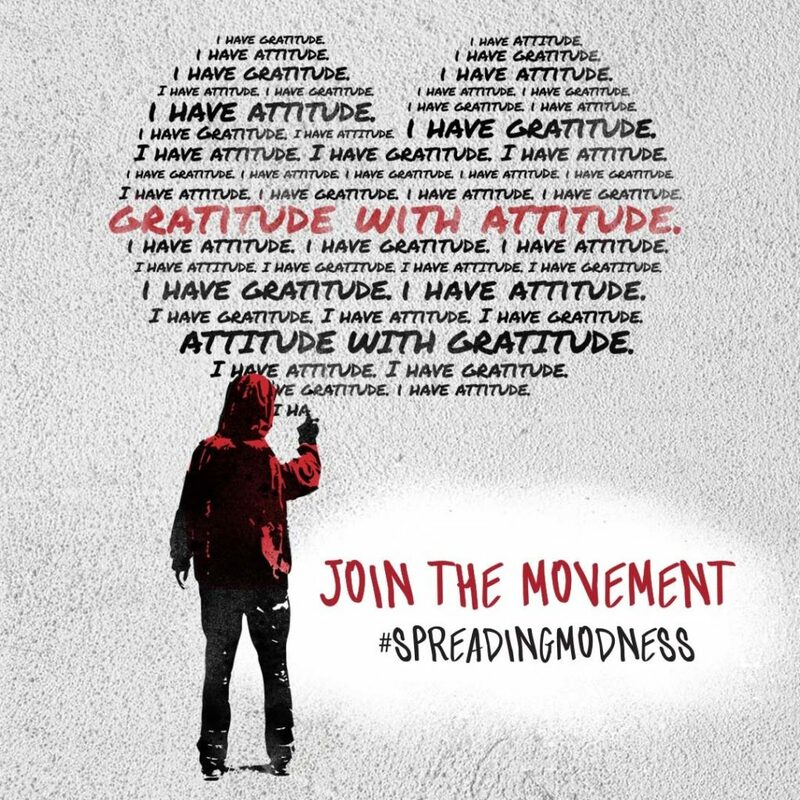 MOD Pizza set an ambitious goal for 2018 when they partnered with Generosity Feeds to package 500,000 meals for hungry kids. To give a snapshot of what MODness looks like, it’s 1,000 volunteers packaging 60,000 meals to benefit the Long Beach, North Hollywood, and Irvine communities of California on October 12, 2018, and it looks like 15,000 meals packaged in Houston, Texas on September 24, 2018. Because of MODness, MOD Pizza is currently 75% of the way to meeting their goal! Why is it Called MOD Pizza? MOD is an acronym for “Made On Demand.” From dough that is hand-pressed daily to fresh in-house roasted veggies to all 30+ toppings, each MOD Pizza is made 100% by customer request. Asiago Bacon Spinach with Alfredo Sauce on Gluten-Free Crust – they can do that. Pepperoni, Salami, Mushroom, Olive, Roasted Garlic – they can do that too! If they serve the topping, you can mix and match to your heart’s content with the knowledge that your Bacon Bacon Bacon pizza won’t cost more than your friend’s Basil Tomato Mozz pizza. SEE ALSO: Why is Domino’s Called Domino’s? Really, though, if supporting a company that is deeply devoted to making a social impact is important to you, add MOD Pizza to your repertoire. At MOD, success doesn’t look like dollars and cents. Success looks like a family enjoying a meal together at the table and success looks like second chances. While they did not set out necessarily to hire felons and people with disabilities, they did set out to make a social impact. From Tony D’Aloia to Arellano, MOD Pizza “. . . (is) giving them a way to feed their families, a way to not go out and re-offend.” Just as they set out to do, they give real opportunities for growth. D’Aloia was 32 years old when he started working at MOD Pizza in 2011. Having been arrested 38 times by the time he was in his 20s, D’Aloia had just been released from prison and was searching for work, but no one would hire a felon. MOD took a chance on D’Aloia and eventually D’Aloia took a chance on MOD. In the first year, he was promoted three times. Today, seven years later, Tony D’Aloia is a district manager overseeing 6 MOD locations in Washington. He has been to the UK to train managers and has spoken at Harvard. MOD Pizza gets behind its people and that just makes good sense. What is your favorite MOD Pizza? Do you wish they would bring other toppings – shrimp and corn, perhaps? Comment below!